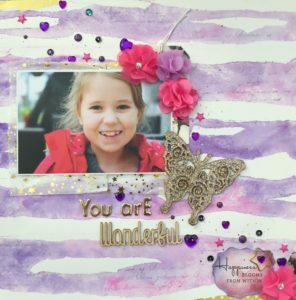 On Monday, I shared a mixed media layout created using Distress Inks and lots of water! You can watch the process video here. 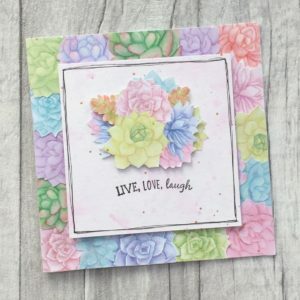 On Tuesday, I shared a card made using Cheeky Studio Sweet Succulent ephemera. 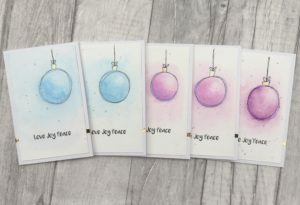 On Wednesday, I shared a watercolour Christmas card featuring a sentiment from the Mama Makes Sending Hugs stamp set. 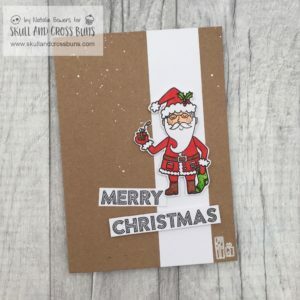 On Thursday, I shared another Christmas card made using stamps from Skull and Cross Buns. 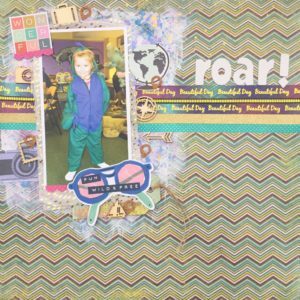 As well as sharing previously-made projects, I also made a set of custom cards, an art journal layout, and a 12×12 scrapbook layout. 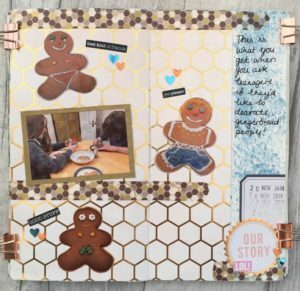 YOu can watch the accompanying videos here and here. 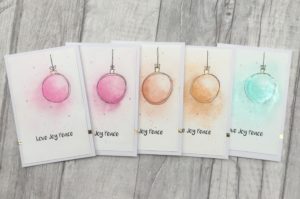 On Friday, I received my December design team pack from EllieBeth Designs UK. 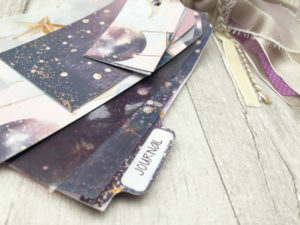 It was the absolutely stunning Galaxy Creative Pack which I couldn’t wait to use, so on Saturday I filmed a live video on the EBDUK facebook group and turned the creative pack into a mini album using my tag dies from Tim Holtz. 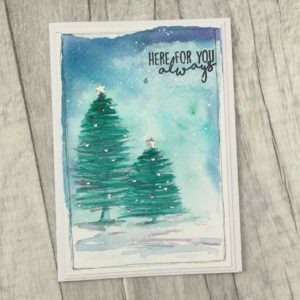 I’m going to use the album to record my daily gratitude in December. 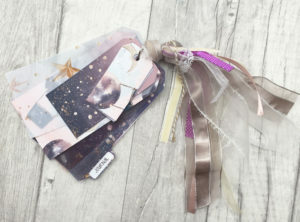 This mini album will be a lovely accompaniment to the And So the Adventure Begins sticker collection that I’ll be using in my bullet journal next month. 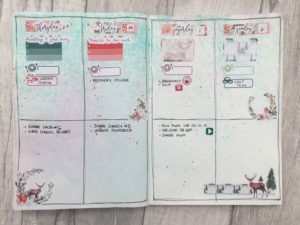 Speaking of which; this is how my bullet journal looked at the start of this week. 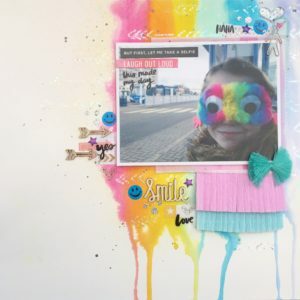 The stickers are from the EBDUK Winter Dreams collection. 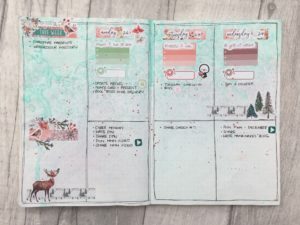 On Sunday, I did a bit of scrapbooking, just for fun and for the Winter Olympics Challenge over at For the Love of Pretty Paper. 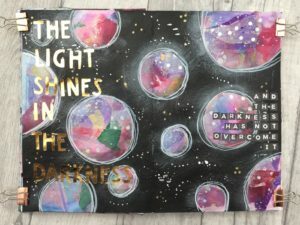 Not a huge fan of the chevron paper, but at least it got used!